Playtime! Playtime is the best time! Actually...if you're a parent, you're probably thinking naptime and bedtime are the best times. But! This post isn't about us, moms and dads. This one is for the kiddies. And we all know playtime ranks pretty high on their list. So who better to sponsor playtime than one of the most well known and reliable brands of baby, toddler, and children's toys? Little Tikes. Little Tikes is responsible for the timeless Cozy Coupe, adorable Playhouses, and now the irresistible Lil' Ocean Explorers line. 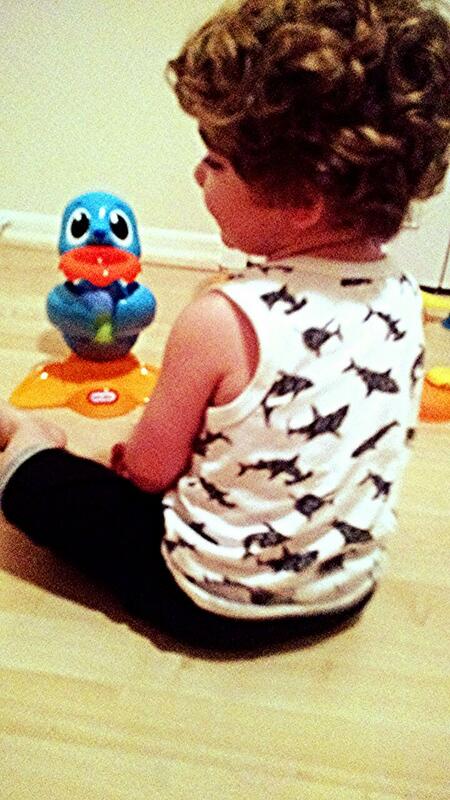 This line brings the ocean to your little one with cute sea animal friends, vibrant colors, and interactive play. The 3 in 1 Adventure Course has so much going on. 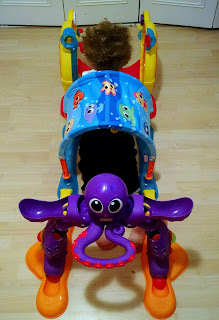 My son, who is already over 2 years old, was captivated by the Adventure Course's large, charming Octopus. He crawled through the course, exploring each feature along the way, and ultimately spent over 20 minutes (remember, he's two!) engaging in pretend play while using the spinners, clicker knobs, and, his favorite, the ball drop. The adventure course is definitely a toy that will stick around your house for awhile. 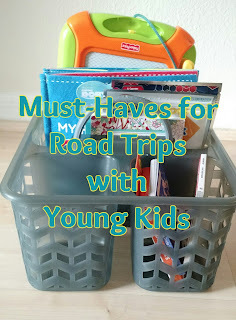 Parents, you know what I'm talking about: You buy a toy, your child is into it for two seconds (ok, maybe a few weeks) and then you're either trying to store it away (hoping you will use it again someday,) or its being plopped into a donation bin. 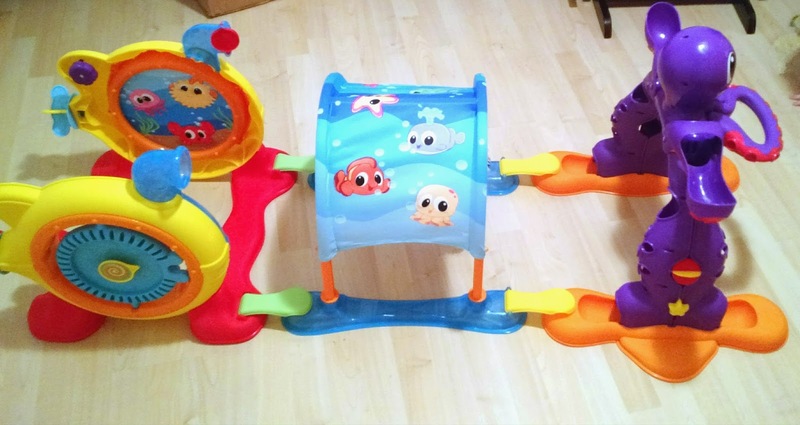 The Lil' Ocean Explorers 3 in 1 Adventure Course is a toy your child will grow with, especially if you purchase at the starting recommended age of 6 months. Like I said, my son is over two and still completely fascinated with this course. He's made friends with the octopus and it doesn't look like he's going to let his new leggy companion leave our home anytime soon. For more information go to the Little Tikes Website or check out Little Tikes on Facebook, Instagram, and Twitter. 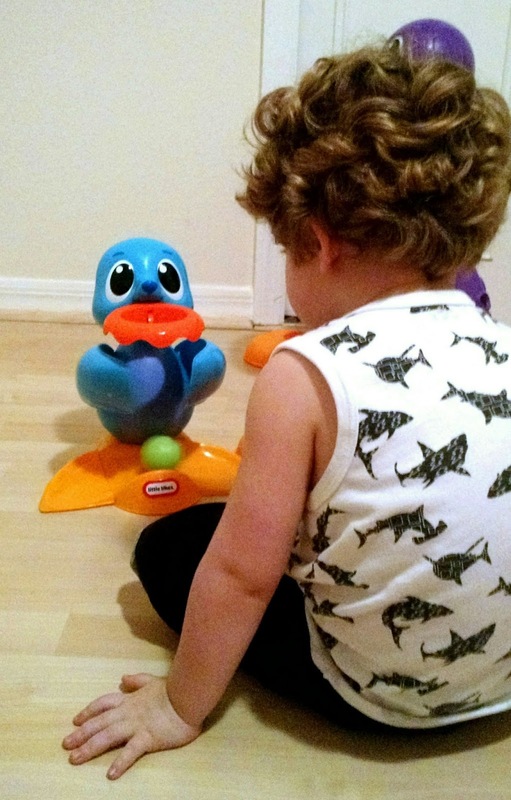 Continue along our Little Tikes Lil' Ocean Explorers adventure with us here!